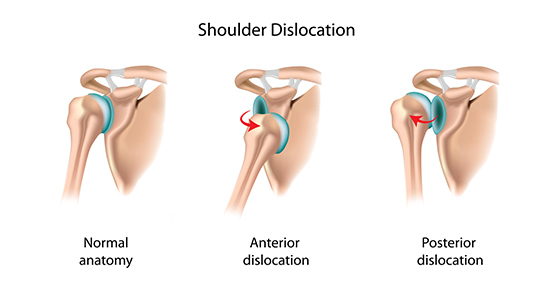 What leads to shoulder dislocation?Shoulder Dislocation Treatment Mississauga can help! Many people who have had a dislocated shoulder often refer back to the incident as being so sudden. All that they remember is hearing a loud click and the feeling of excruciating pain immediately after the injury. Yes! they could actually feel the shoulder as it is wrenched out of the socket. It can be a very dreadful experience!!! That’s when you need Shoulder Dislocation Treatment Mississauga!. Depending on the severity of injury, Shoulder Dislocation Treatment Mississauga varies. Generally, your doctor orders an X-Ray and Ultrasound to determine the extent of the injury. Shoulder dislocations are classified depending on your symptoms and X-Ray findings. This helps to decide which general guidelines to follow for treating your dislocated shoulder. Usually, a shoulder sling is provided to maintain the shoulder in a neutral position and offload your shoulder muscles. Depending on your doctor’s advice, they may want you to wear the sling for three to four weeks. Check out this website for a bit more information: Orthoinfo. How can a Registered Physiotherapist Mississauga help to rehabilitate your shoulder? A Registered Physiotherapist Mississauga can aid in faster recovery of your dislocated shoulder. Shoulder dislocation treatment Mississauga can get you to start using your shoulder. It will help you to get back to dressing, combing, grooming, eating, lifting objects etc. Right after injury, Shoulder Dislocation Treatment Mississauga uses modalities such as ultrasound and a muscle stimulator. These electrical modalities bring more blood to the area (fresh oxygen and nutrients. It also calms down the inflammation in the shoulder. Once you immobilize your shoulder in a sling, it tends to get stiff. Your shoulder muscles develop a lot of spasm and tightness due to lack of motion. A Registered Physiotherapist Mississauga will mobilize your shoulder joint. The goal is to prevent any complications . A Registered Physiotherapist Mississauga will educate you regarding the use of a sling. The Registered Physiotherapist will also show you certain positions/activities to be avoided. We want to help you to prevent another shoulder dislocation when the tissues are healing. Shoulder Dislocation Treatment Mississauga incorporates strengthening exercises. Typically this would include using Theraband, weight cuffs or pulleys to increase the strength in your shoulder muscles. This will help to stabilize your shoulder. Registered Massage Therapy is also very helpful to reduce muscle spasm in the neck and shoulder. It reduces pain, spasm and general overall shoulder tightness. PhysioNow has excellent Registered Physiotherapists and Registered Massage Therapists at all of our locations in Mississauga. Check us out and book an appointment today! We can Help!